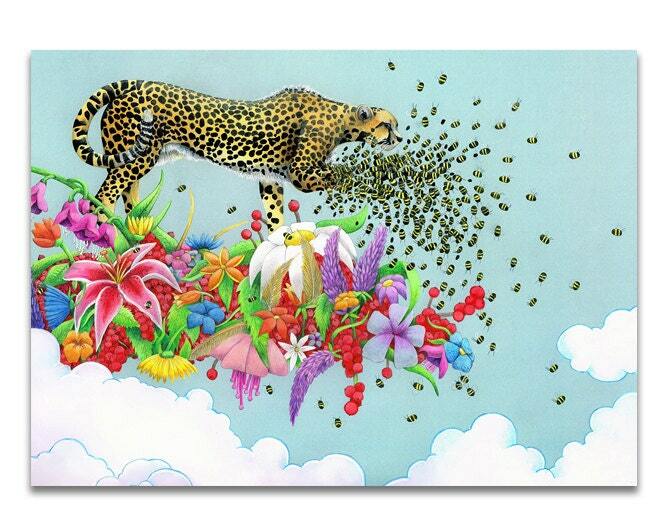 This is one of my most recent illustrations, it is titled Antheia's Onus and comprises of a cheetah transforming into hundreds of bees to pollinate the flower cloud that she lives on. The original illustration was created using coloured pencil, water colour and ink. 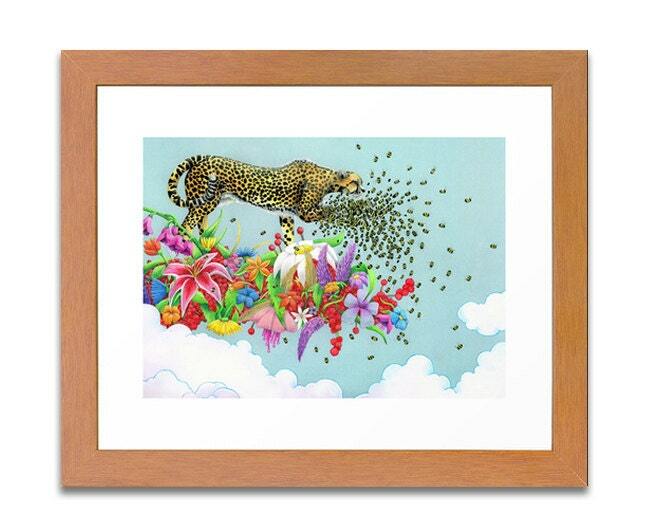 This is a high quality, limited edition, archival fine art print on 230gsm matt paper of the original illustration. You will receive your print carefully rolled up inside a postal tube lined with tissue paper, it even comes with it's own certificate of authenticity! 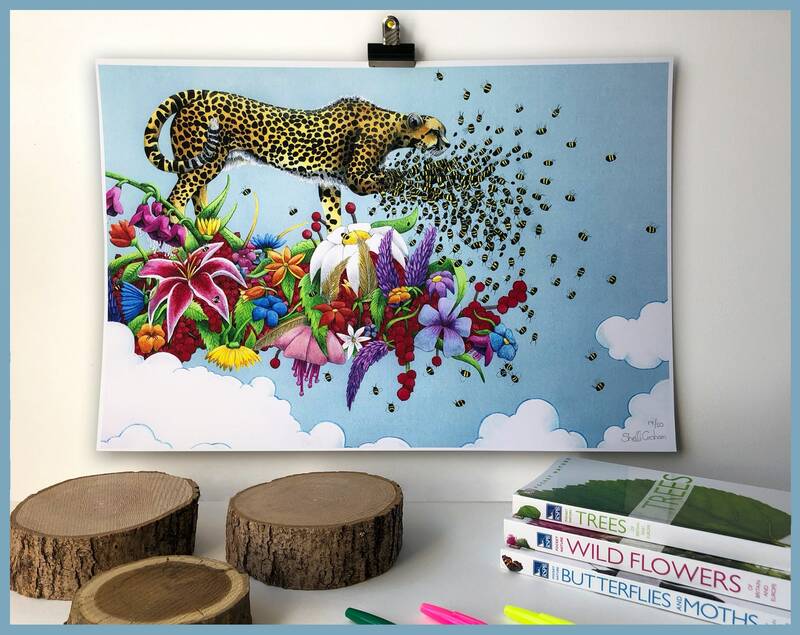 There are just 50 Antheia's Onus prints in the world, so hurry, when they are gone they are gone!